I’m having a hard time being thankful this year. Living without my father still feels like a nightmare that I’m waiting to wake up from and so it’s hard for me to be grateful for the things I am lucky enough to have, when I would give them all up in a second if it meant that I could have him back again. Unfortunately you can’t trade happinesses like that. But god, if you’re listening…for the record, I would. That being said, I could not have gotten through these past few months without my family and friends, The.Boy. – who really did save my life by coming into it. This little corner of the blogosphere has been a haven for me. A place where I can go to just get away from real life. Where I can drown myself in winter squash and buttercream dreams. And without all of you, who read relentlessly and without fail…it just wouldn’t be quite as special. I’m so glad I have you in my life. Really. There’s no better way, in my opinion, to show someone you care than by pulling yourself up out of bed just a little bit earlier than you need to and waking them up with a pancake surprise. 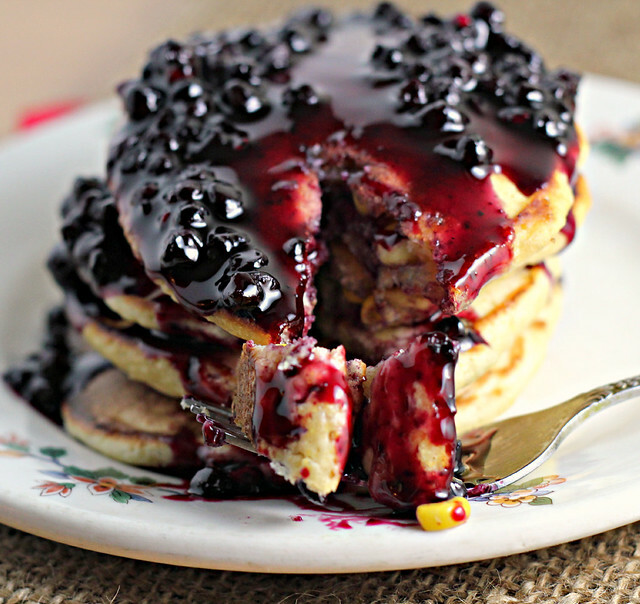 Even more so if the pancakes in question happen to be corn-stuffed and blueberry balsamic sauce smothered. That’s my story and I’m sticking to it. So, here. Before you head off on your Black Friday shopping extravaganzas and whatever else you have going on this weekend. Sit down. Have a bite. In a large nonstick skillet, melt the butter over medium heat. Add in the corn kernels and saute until just starting to brown, about 4 minutes. Toss in a pinch of salt, stir and remove to a bowl to cool, reserving pan. In a large bowl, whisk the egg until lightly beaten. Whisk in the buttermilk, vanilla, sugar, and corn. In a separate, smaller bowl, stir together the flour, cornmeal, baking powder, baking soda, and salt. Stir the dry into the wet ingredients just until combined. Add more flour or milk as needed until batter is the right consistency – slightly thick but still pourable. Heat the skillet that was used to cook the corn over medium heat. Ladle 1/4 cup batter at a time onto the pan, leaving about 2 inches in-between each pancake. Cook on one side until small bubbles start to form on the top of the pancakes and the sides are just set and then flip and cook for another minute. Repeat with remaining batter. In a small saucepan, heat the blueberries, water and sugar until boiling. Boil gently over low heat for five minutes. Add in the balsamic vinegar and cornstarch. Simmer until thick, with a syrupy consistency. I’m so sorry you’re hurting. I hope you had a delicious Thanksgiving! 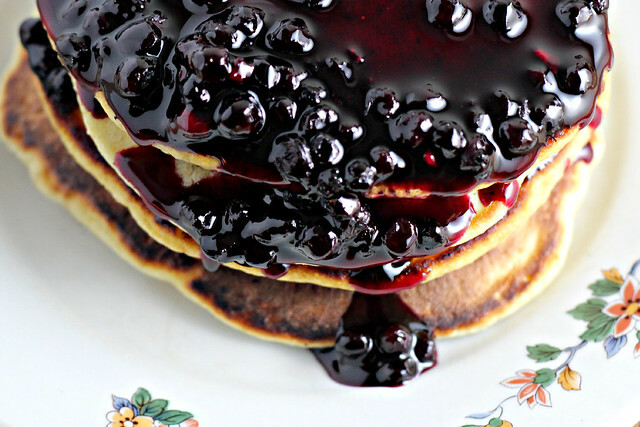 I love vinegar with berries–I never thought to try using it to make a blueberry syrup, though. Sometimes, it’s okay to give yourself permission to NOT be happy. Thank you for giving a part of yourself to this blog and your readers. We appreciate it! It hurts like hell. It takes a long time to stop hurting like hell. They say grieving takes a full year, like a cycle of seasons. One needs to go through the first Thanksgiving without. The first New Year’s Eve without. The Birthday. The wedding anniversary. The you name it. I’m so so glad that you have this blog and that it can in some way help you cope. I can’t even begin to imagine what it’s like to lose a father. But how lucky you are to have such a wonderful, close-knit family to get you through this. This recipe is such a great way to spoil those you love! I think it’s understandable to find it hard to be thankful after your loss this year. I also think it’s wonderful that you’re trying, anyway. Thanks for continuing to share your recipes and stories with us and many wishes for happiness to you and those in your life helping you through it all. Loosing parents is surely tough to go through. Your corncakes look amazingly good. I can’t even imagine what you’re going through and you are so strong for being able to talk and blog about it. And these look like they will be the perfect sunday morning treat! Happy Friday! I feel for you, the unfortunate realities of life. When my Nan died, Trevor was only 6 months old. Staying busy from caring for two little kids was what got me through. This blog is like your baby, so I can totally understand how it’s helping you cope. Distraction is good. So are pancakes. So sorry about your father, what a terrible loss. 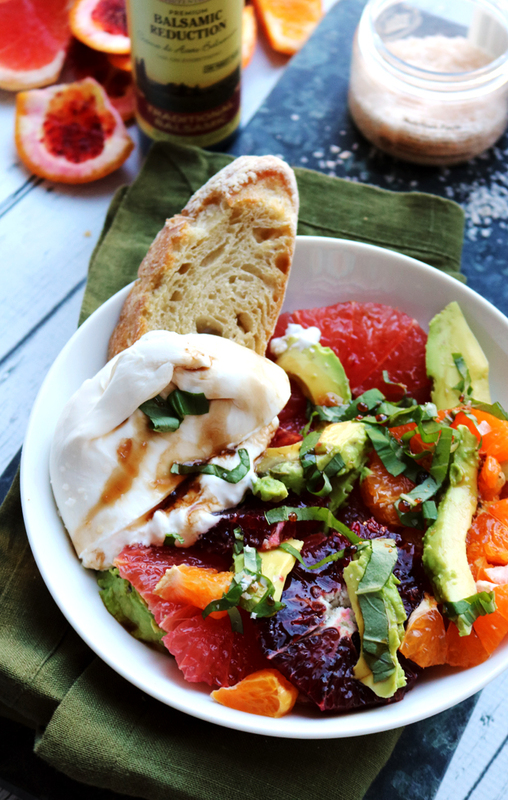 This recipe is right up my alley, the perfect breakfast-for-dinner kind of meal that I love. I bet pops is really enjoying these beautiful pancakes made by his beautiful daughter =) I love that you pull inspiration from your loved ones whether they still be with you or not. It’s a great and beautiful source of inspiration. I can’t even imagine. Bigs hugs, lady. And these pancakes are beauties. These pancakes seem like the perfect Black Friday fuel for sure! Joanne I am so sorry about your dad – what a hard time of year this has to be for you, and in general. 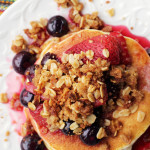 I almost never make pancakes but you made me want to change all of that with these gorgeous ones you made – and the blueberries! 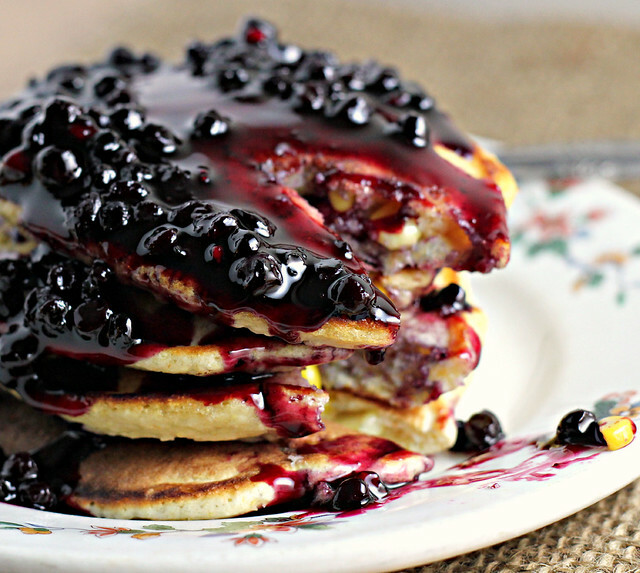 These gorgeous pancakes are honestly something else! I’m sure it is tough around the holidays. Glad you have family and friends who can lift you up though 🙂 The pancakes and blueberry sauce look and sound fantastic my friend!! Great pictures too. Long time no see my friend! I’ve been totally out of the loop with blogging and food blogging especially 🙁 Life has just gotten in the way. I wanted to stop by to wish you a belated Happy Thanksgiving. I hope all has been well in your world. I’ve missed you! What a thoughtful post, Joanne. Of course, your heart is still breaking, and sometimes it’s hard to think about what there is to be grateful for. The holidays are always difficult, and I just hope you were surrounded by wonderful memories of your father. I truly thought of you, as I was preparing dinner for my family– what’s left of them. My parents are long gone. I started thinking of friends that I know who have their first Thanksgiving without their loved ones. The ache dulls, in time, but it breathes new life at the holidays. I’m so glad you have plenty of support to get you through this. As for the pancakes, I am always looking for new pancake recipes. I just found one. The textures sound amazing, and gotta love the balsamic vinegar added to the blueberries. Pure genius. Hope you are enjoying some family time, Chica. Holidays are so difficult after a loss…. Always a good reminder to enjoy time with our loved ones while we are able… Your pancakes though do look amazingly yummy. This sounds excellent—and hopefully brought you some comfort and joy like you give to us all year with your blogging (recipes, writing, photos all are excellent). I hope you had a wonderful Thanksgiving, Joanne. I can’t imagine how you must be feeling but thoughts and prayers are always with you! 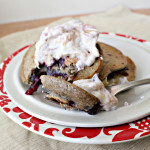 And I’m so glad you to have met you through this blog – you are freakishly awesome, and these pancakes are epic. I just made some simple buttermilk pancakes for lunch but I’m totally regretting it now that I’ve seen this! Oh Joanne, your Father is with you always! I could only imagine how hard it is, I’m so sorry for your loss! Your Dad is proud of you and is watching down on you!! On a separate note, your pancakes look out of this world. The first picture really has me drooling!! i am glad you have good people around you and i am so proud of you for carrying on even though you are hurting so much inside. What a fabulous looking recipe! Mmmmmm…. Speaking from personal experience, holidays are the hardest when you’ve lost someone. I’m glad you have family and friends around you. 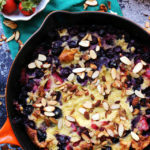 I’m thankful for your blog and all you share, like this recipe which looks delicious. Who would have thought of corn in pancakes? Joanne – I know it’s been such a tough couple of months for you and the holidays can be especially difficult. Thinking of you this holiday season. Surround yourself with loved ones, and know that I like many others support you as well. What a beautiful recipe Joanne – and posted at a time that I appreciate would be so tough. I hope you have plenty of these pancakes for yourself, too. You’ve definitely had quite a year, but you’ve been so positive throughout the entire process that it’s truly been inspiring. 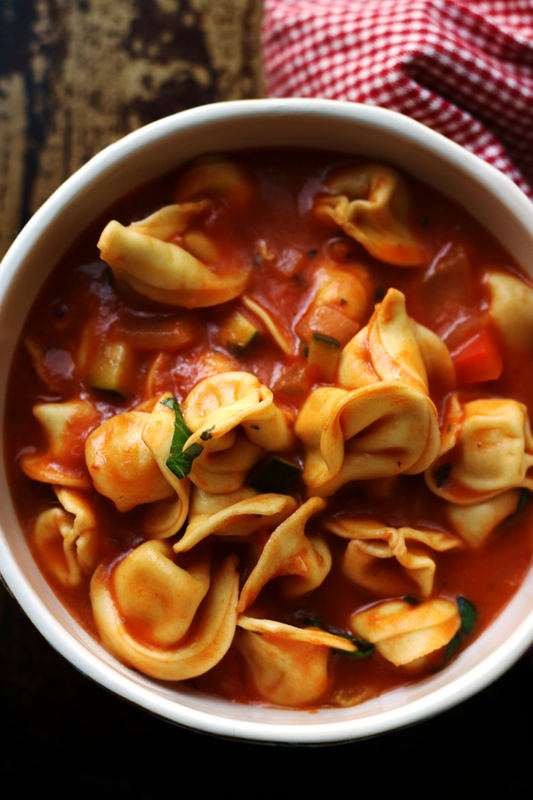 Keep posting awesome recipes, running your heart out, and telling us about it. We love you! 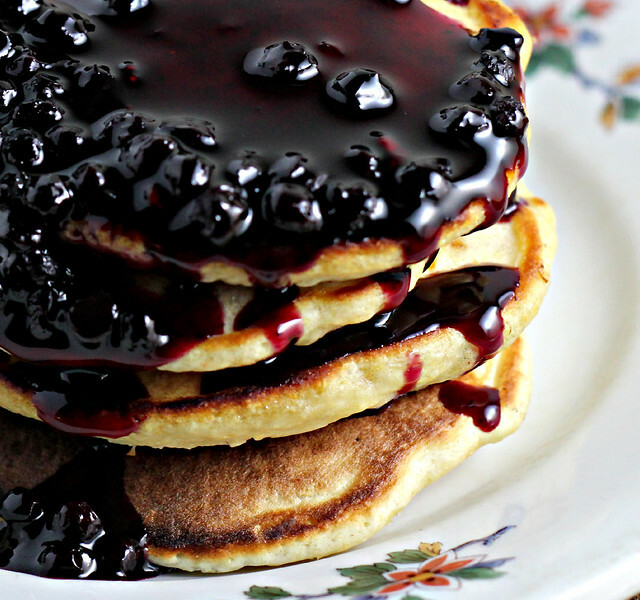 and Blueberry Balsamic Sauce sounds incredible! Oh my….I think I would kill for this breakfast. It looks THAT good! Joanne, I am thankful for bloggers like you. 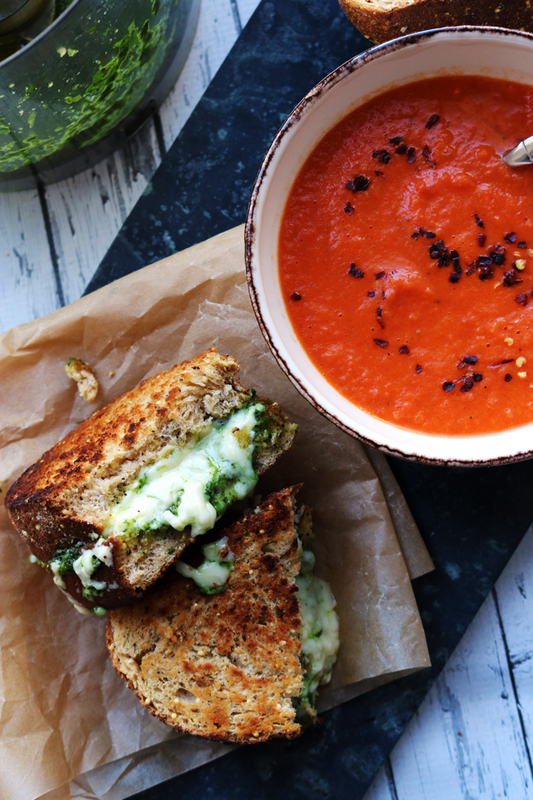 Your blog is a joy to read and I adore your pictures and recipes. So thank YOU!!!!!! Oh my dear! These look absolutely lovely!! Spending a holiday without a loved one is very hard. The Boy must have really enjoyed your wonderful breakfast. If I lived in the States, I would definitely forgo doing black friday shopping for a taste of these pancakes. They look to die for! Oh Joanne, how I wish I could give you a huge hug and a big plate of cookies. The holidays are the hardest time of all after someone you love passes away. I remember my first Thanksgiving and Christmas – I never would have gotten through them without family. They really are a blessing, and to have someone to cook these delicious pancakes for is something to celebrate this season. Just remember to take each day as it comes. On sad days, on hard days, let yourself be sad and mourn. Eventually those days will be less spaced together, or less hours of each day. I’m thankful for your write up and beautiful recipes. It must be bittersweet for you this thanksgiving. The corn pancakes look so fluffy. but i bet it is what everyone need after a big meal at thanksgiving. I thought about you on “the day” – it’s hard, I know. These pancakes are going in my “sisters weekend” folder. Yum. i would drink that blueberry balsamic sauce, it sounds soooo good! such a delicious breakfast! I could drown in that sauce and be a very happy camper Joanne. So sorry you are going through so much right now but I am glad for you that you have the support of family and friends (The Boy included). Please take care and keep cranking out the AMAZING recipes and thoroughly entertaining posts. I always look forward to coming here. It was a hard year for you and your family!!! !I am drooling…..Those pictures are amazing,Joanne! i’m glad you have such a terrific support system! and kudos on that sauce–it’s glorious! 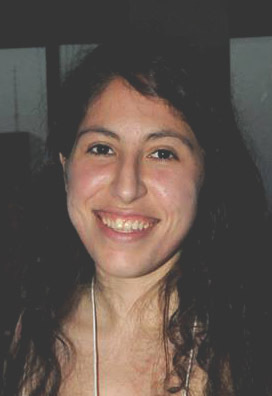 The first holidays without a loved one can be very, very hard. Being much older than you, I’ve already lost both of my parents. I’m glad you are taking care of yourself and that Boy 🙂 These pancakes and blueberry sauce look awesome! I can’t imagine how hard this has been for you… and I suspect that it won’t get much easier as we head into the holiday season. But know that you are loved by many… that you bring such happiness to those around you (including me). I’m thankful to have you, your words, your wonderful recipes, your spirit in my life. You are so brave and courageous! The pancakes look and sound absolutely delectable! I’d love to wake up to them. Plus they would make a great brinner. Oh my gosh, this looks incredible!! 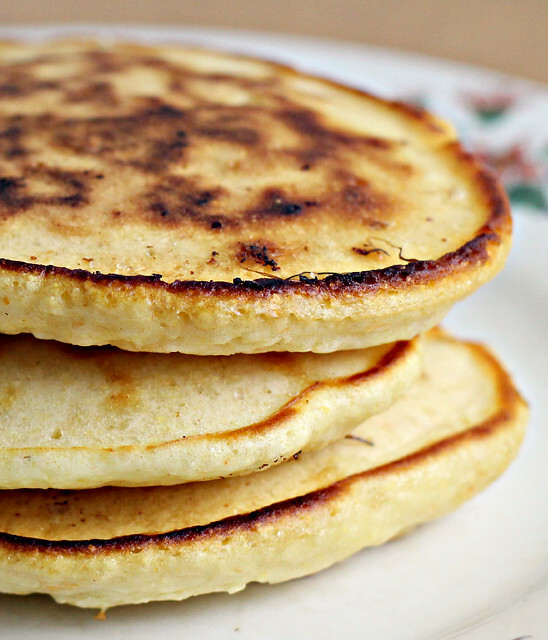 I love corn pancakes…those were always my fav as a kid and they still are! That sauce looks seriously delicious. That blueberry compote looks amazing… you’re a great photographer. I make a lot of pancakes and am looking for variations. This sounds like my next one. You’re beyond strong Miss. You’re doing way better than you give yourself credit for. Thank you for being the wonderful inspiring person that you are, and for keeping up this blog all through the tough times you’ve had this year. Reading your posts, for me, feels like reading a letter from a friend. I can’t imagine the year you’ve had, love. I think about you often and wish that you can find your new normal and happiness just as soon as possible. Hugs. 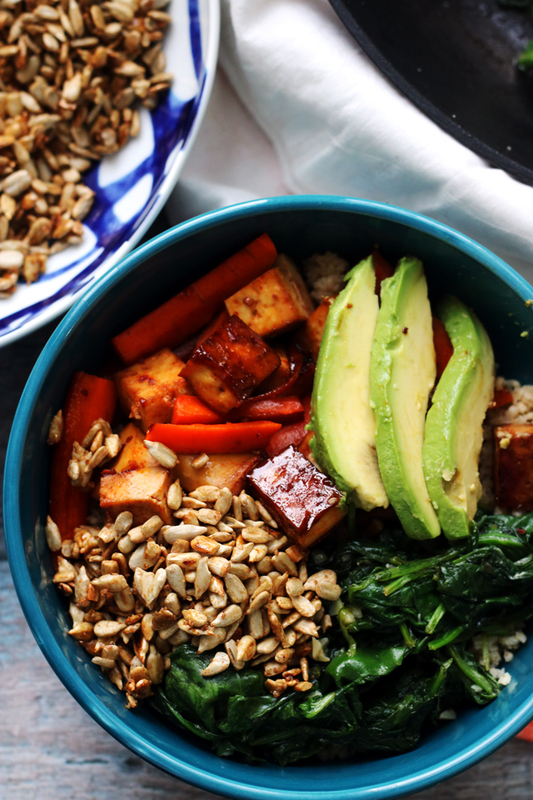 I love how you always surprise me with ingredients I wold have never thought to mix together. These sound like absolute perfection. I can’t wait to make these. You are lucky to be so loved..by so many people. Hugs for you Joanne from across the blogosphere. What a very sweet post, Joanne. You shouldn’t be thanking us, though. We should be thanking you for being so open and honest and thoughtful. Truly amazing. I can imagine how you would feel, I know my sister is going through a lot of the same. Keep going, Joanne! These sweet corn cakes looks excellent. 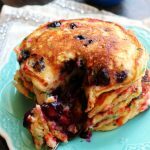 We really liked the blue corn cakes we make for our redneck tacos but I also like the sweetness that these bring, especially with the berry sauce! Those pancakes look so good! I like the balsamic in the blueberry sauce! food is good, blogging is a good break and those pancakes and sauce look amazing – here’s to sanity breaks like these!